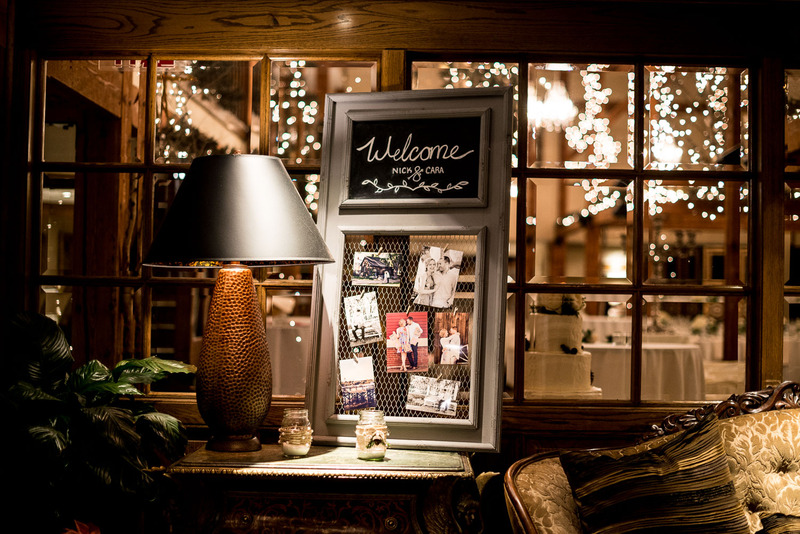 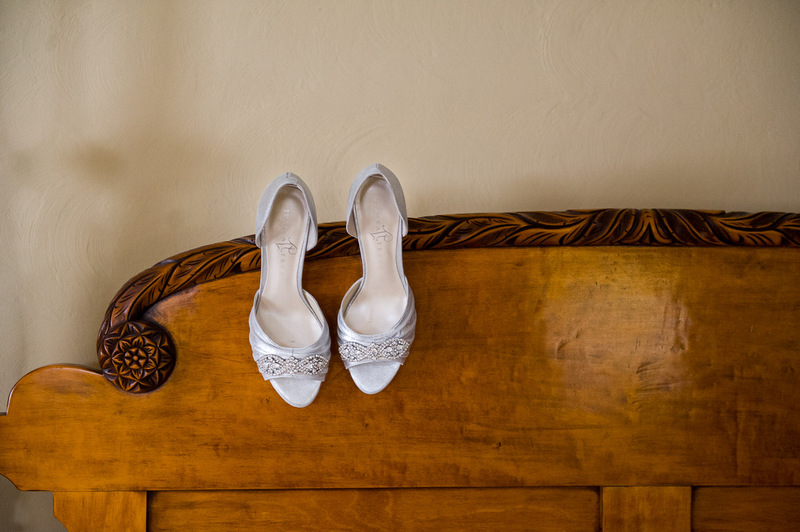 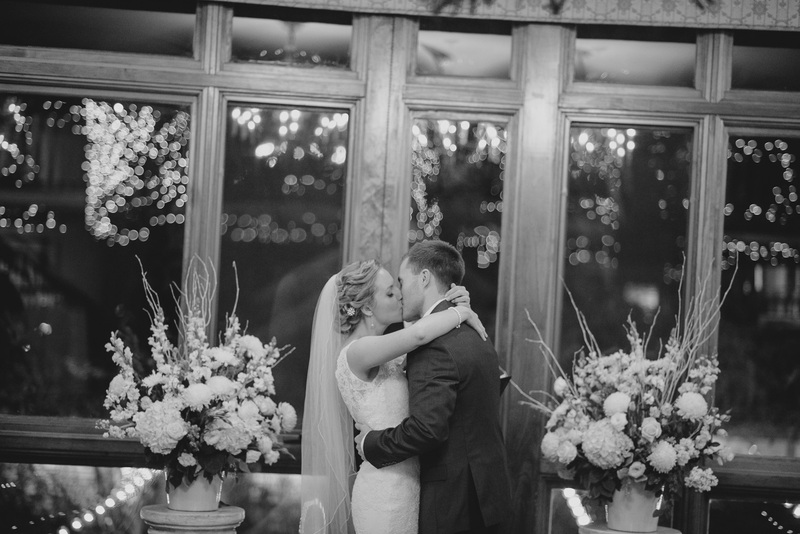 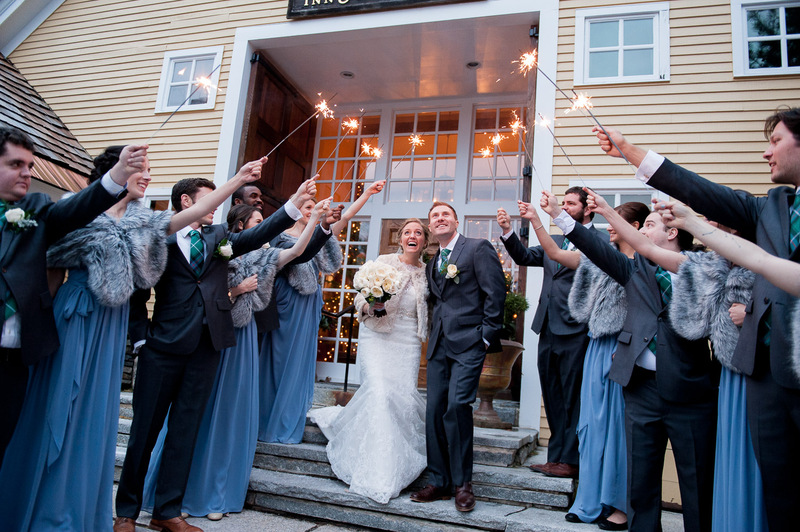 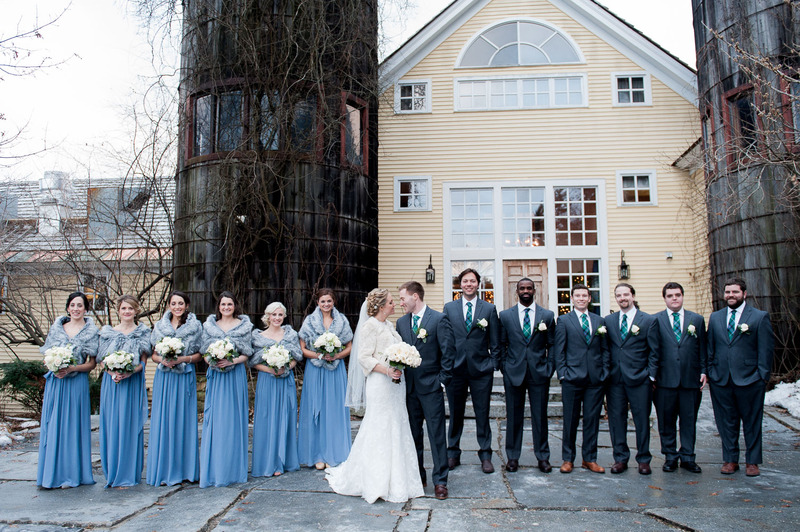 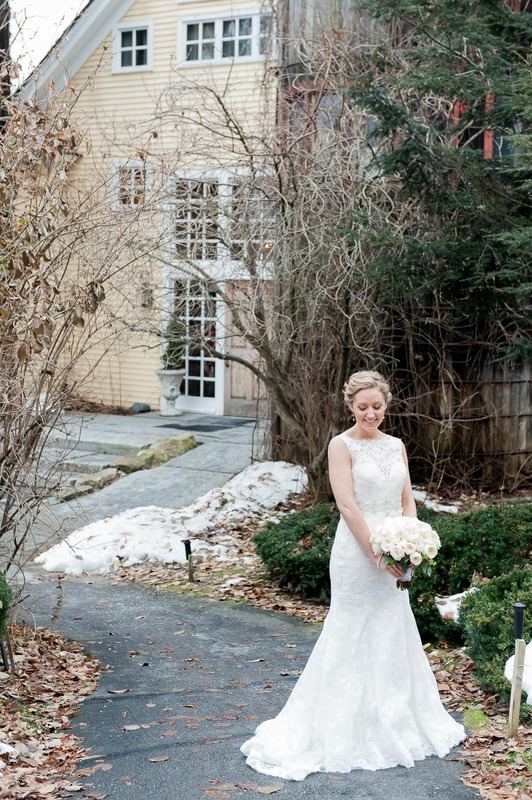 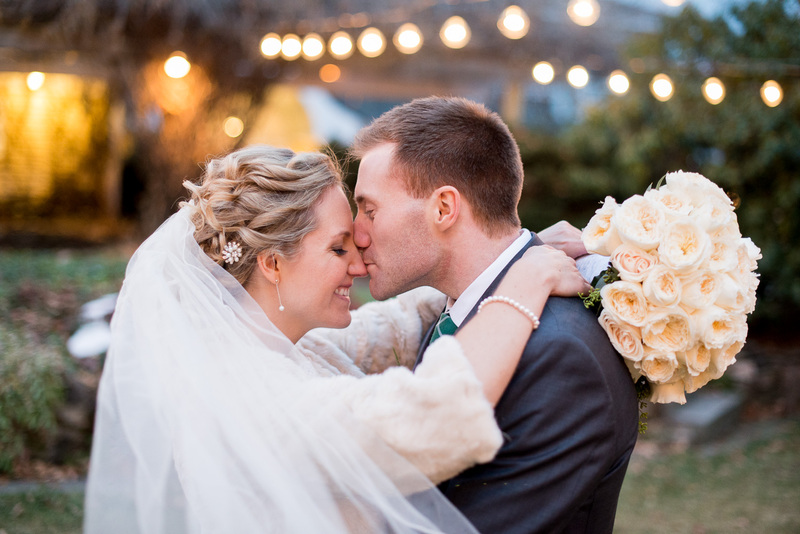 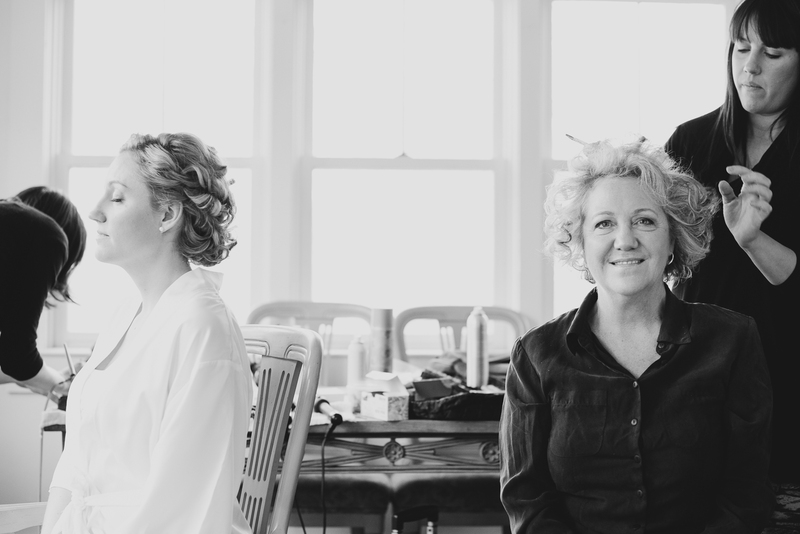 Cara and Nick were married at a small country inn, and had a Quaker style winter wonderland wedding. 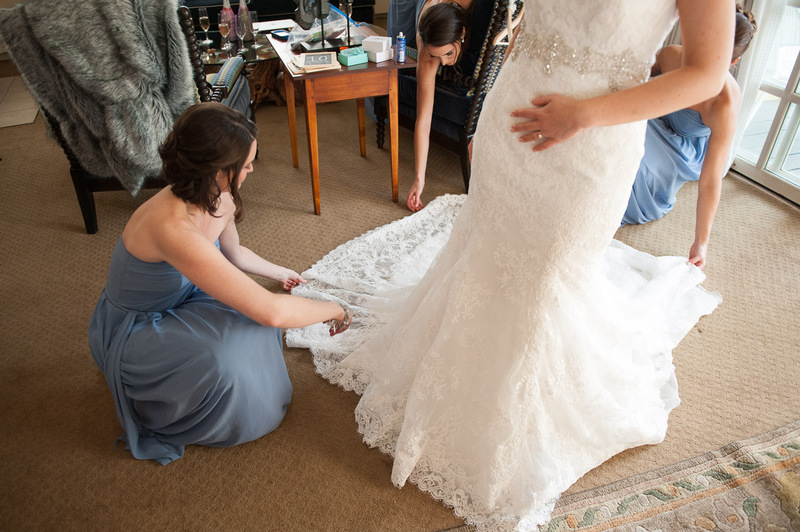 Cara was so thoughtful with all of the details. 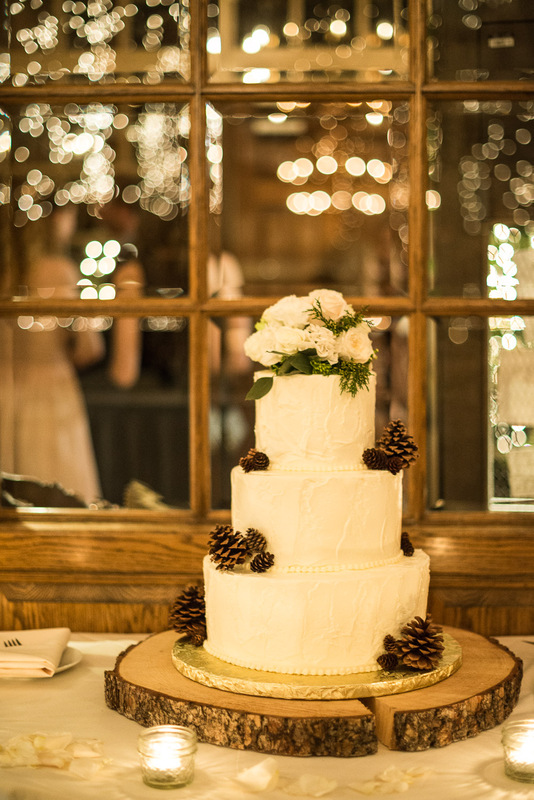 The ambiance of the ceremony and reception was full of sparkling twinkle lights, pine cones and winter white double roses. 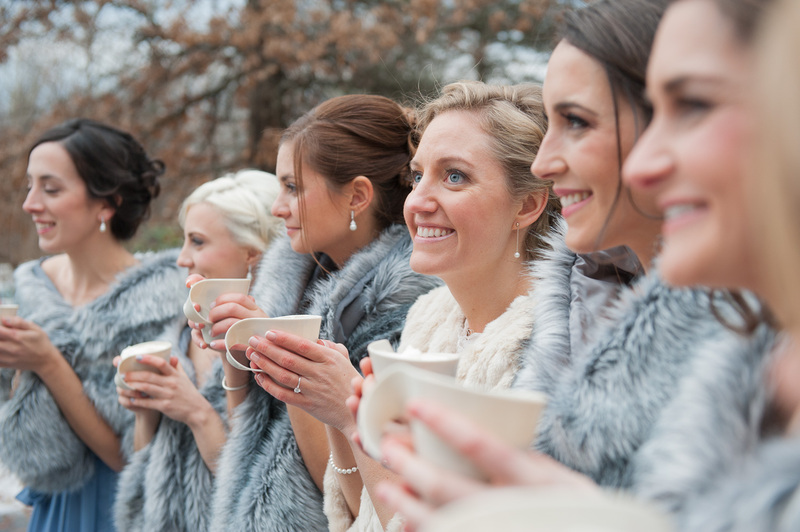 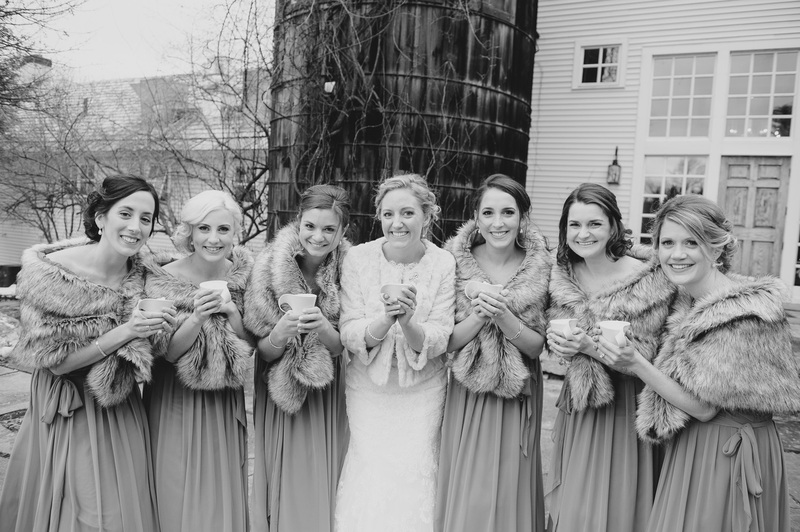 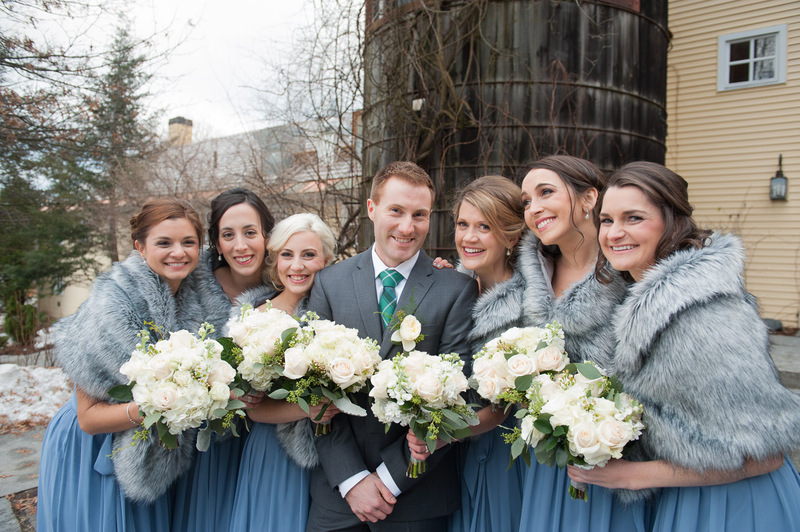 She had faux fur shrugs for all of her bridesmaids and hot chocolate to keep everyone warm while taking photos outdoors. 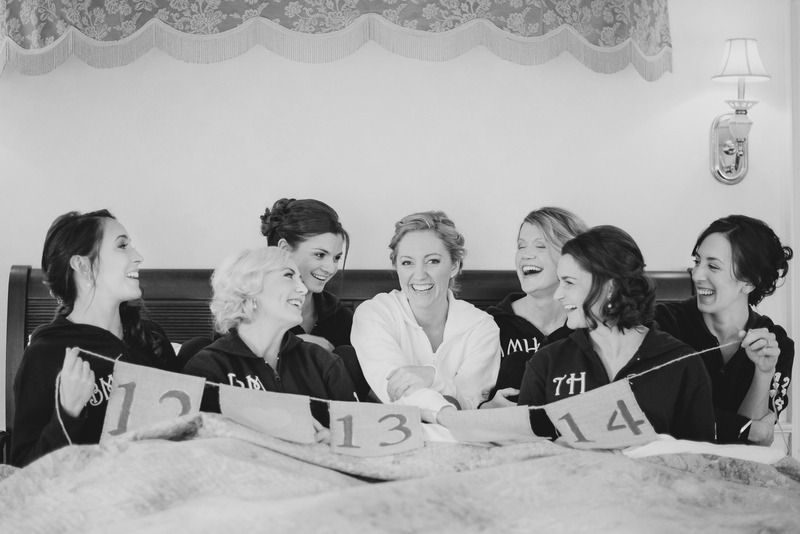 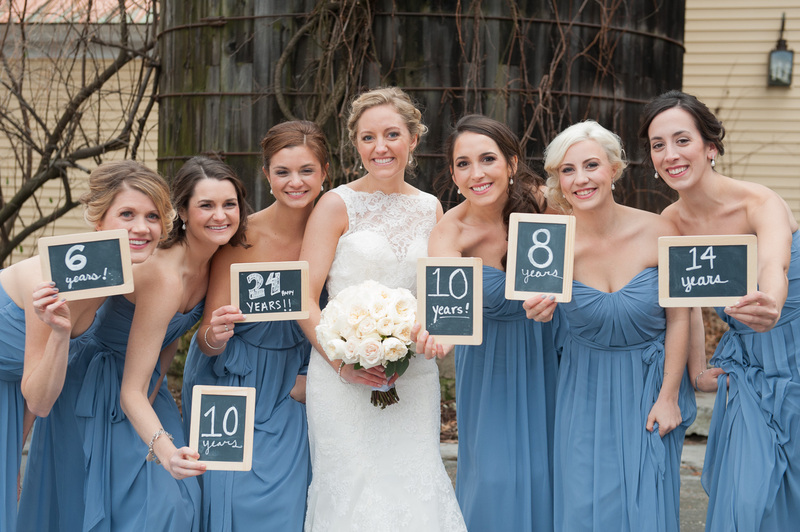 She also created small, double sided chalkboards showing the number of years each bridesmaid has been in life, on one side. 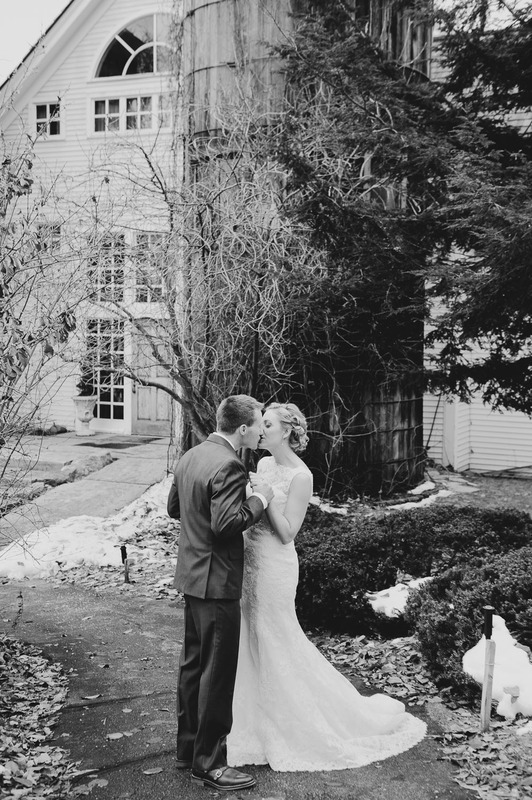 On the other side, she wrote where they first met. 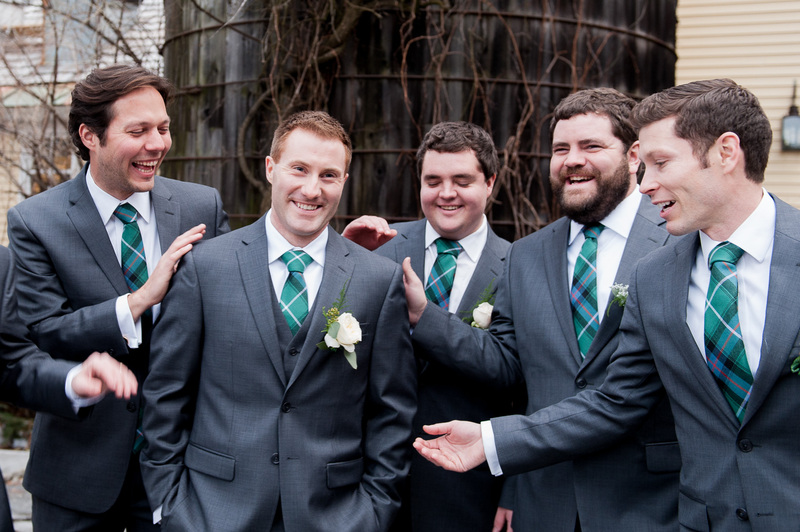 Continuing with the winter theme, the guys wore dark green and blue plaid ties. 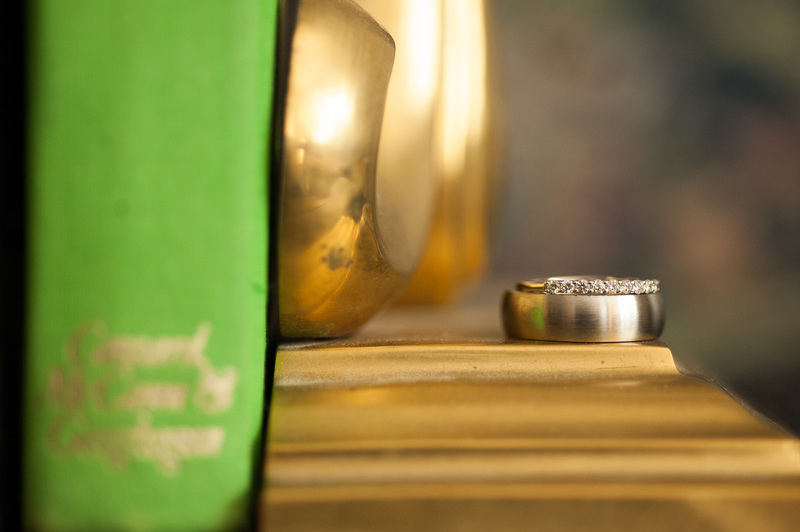 It’s a small but wonderfully executed detail. 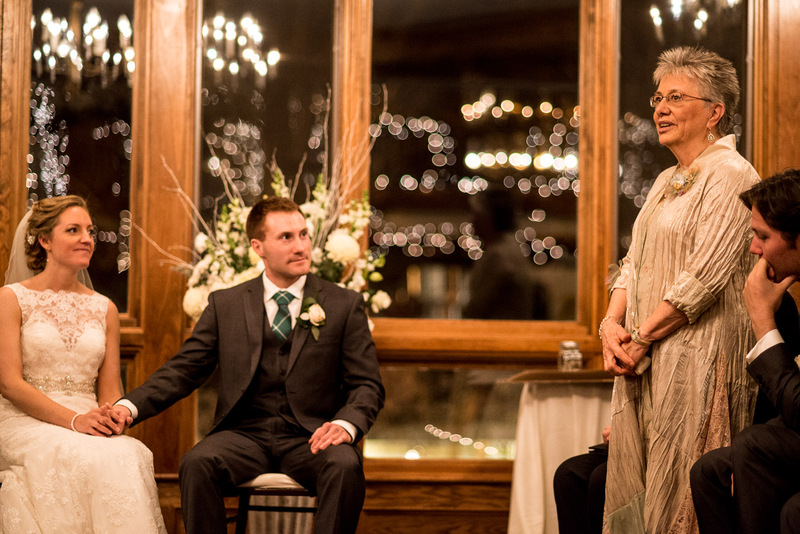 The ceremony was Quaker style, which was a new experience for me. 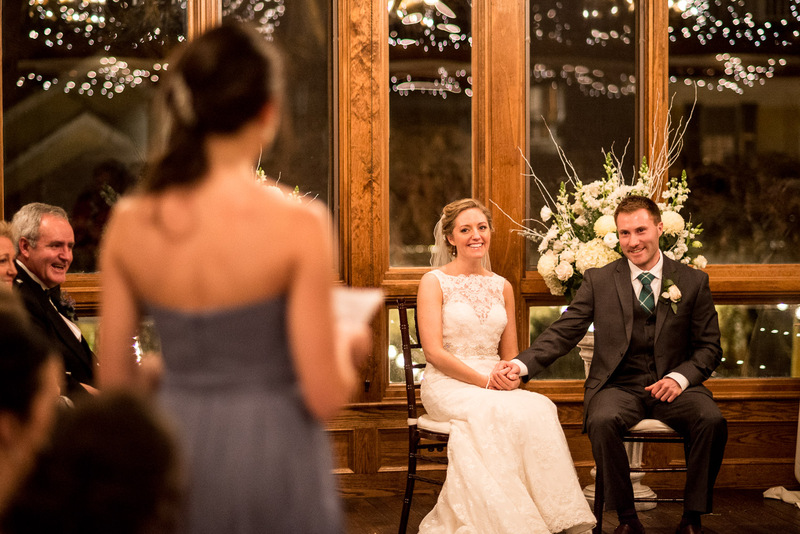 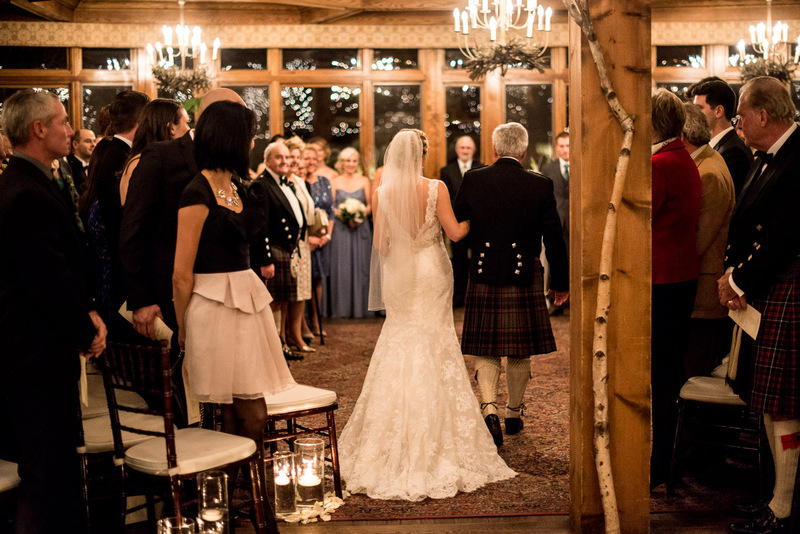 In a Quaker ceremony, the bride and groom are seated with their guests and for a length of time, they all sit in silence and guests are welcome to speak to the couple to share a story and give their blessing. 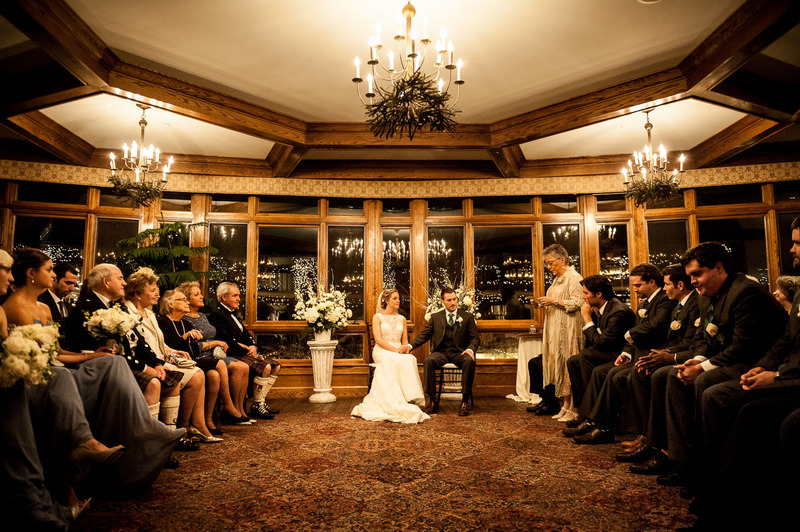 While this is happening, their wedding rings are passed around for everyone to sit with and hold. 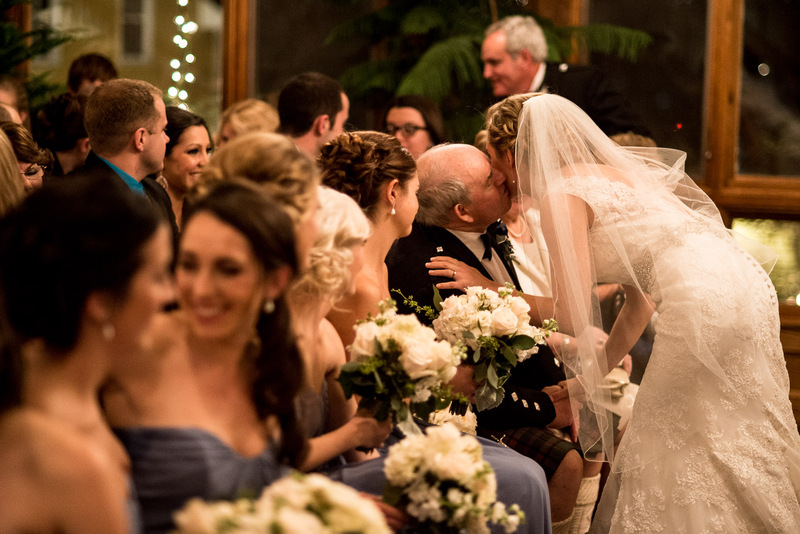 I really enjoyed hearing all of the touching words family and friends shared with the couple. 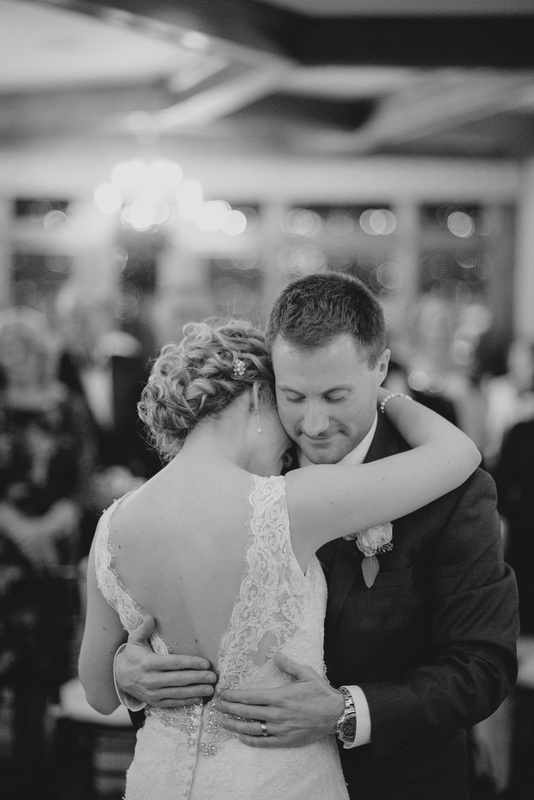 It was an inclusive, emotionally present exchange. 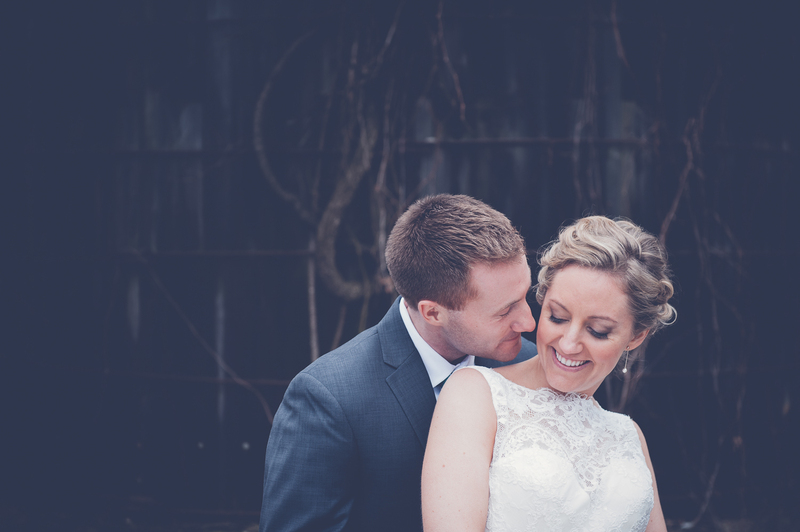 Warm congratulations Cara and Nick!